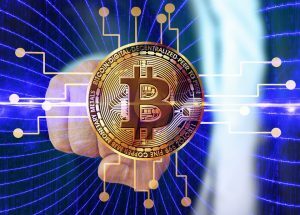 The Chartered Financial Analyst (CFA) exams that are going to take place in 2019 will be including two important topics: cryptocurrencies and blockchain. The information has been released by Bloomberg on July the 16th. The CFA Institute, helped train more than 150,000 financial professionals, and this time, it has decided to add cryptocurrencies and blockchain to the Level I and II curriculums. The material will be ready to download in the next months. Interested candidates will be able to start studying about the topics provided. This material will be given with other fintech subjects that include artificial intelligence, machine learning, big data and automated trading. Furthermore, the topics will also be related to professional ethics, something that some experts believe that the crypto market lacks. Virtual currencies are still in their early stage, which means that they have a lot of potential to grow and develop. 227,031 individuals in 91 countries and territories registered to take the CFA exams in June. People will be learning more about finance, improved job prospects and more. Most of the candidates are from Asia, which is a very important market for virtual currencies. At the moment of writing this article, Bitcoin is the most important cryptocurrency in the market. It has a market capitalization of $127 billion dollars and a price of $7,400 dollars per coin. Since the beginning of the year Bitcoin is in a bear market, but during the last days it seems that it has started to grow again.